Are you thinking of starting a family or adding to your brood? Or, maybe you struggle with infertility? 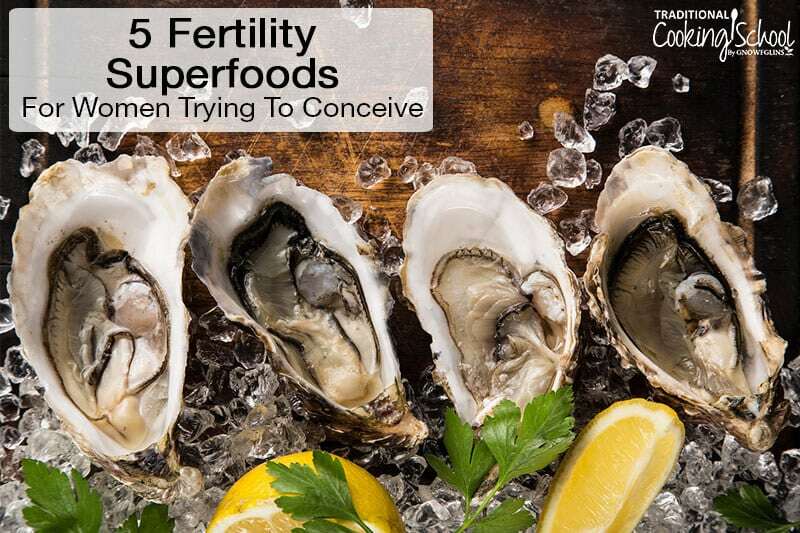 While a healthy diet may not be the answer to every problem life throws our way, there's no doubt that certain nutrients are essential for maintaining or restoring fertility. This goes for men and women! Isn't it easier to pop a prenatal every morning and call it good? Well, sure, but you're missing out! Not only are whole, real, nutrient-dense foods tastier, they provide nutrients that are highly bioavailable to our bodies. 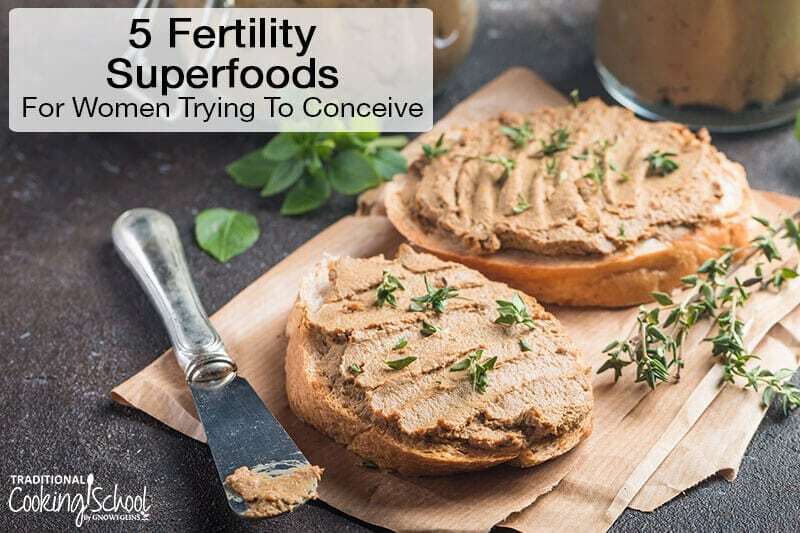 Furthermore, the nutrients in whole foods aren't isolated — they come with a host of other nutrients that work synergistically to enhance fertility. So, by all means, take a prenatal (fact: women who take a multivitamin conceive more readily and have more twins). 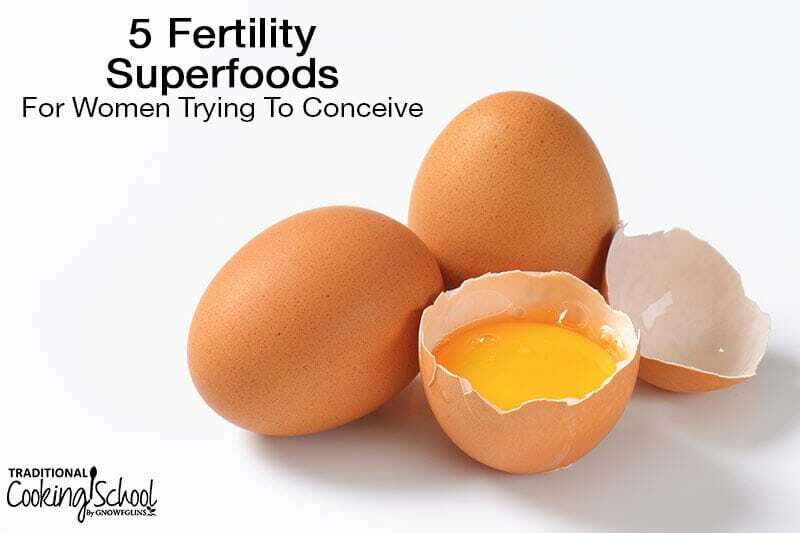 Yet also eat the 5 fertility superfoods below to get your body in tip-top shape for your soon-to-be bun in the oven. How Important Is Your Pre-Conception Diet? [M]any primitive peoples have understood the necessity for special foods before marriage, during gestation, during the nursing period, and for rebuilding before the next pregnancy (Nutrition and Physical Degeneration, 8th edition, page 365). It makes sense that the mother's health prior to conception has an impact on baby's health if you realize that the egg that ovulates in any given cycle has actually been maturing for about three months. If women are well nourished, their eggs are healthier. And, if you want to boost the health of your ovulating eggs, you have to start at least three months in advance! Additionally, most women don't know they're pregnant until at least a few weeks have passed. By that time, baby already needs the nutrients, like Vitamin A, Vitamin D3, and folate, discussed below. So it's important for new mothers to have these nutrients stored up ahead of time and/or in ample dietary supply. In fact, evidence suggests that a woman's diet at the time of conception may impact her baby's birth weight more than her nutrition during pregnancy (Real Food for Mother and Baby, 2nd edition, page 42). That said, surprise pregnancies happen (can I see a show of hands? ), so if you're pregnant now and didn't really give a thought to your nutrition before you got pregnant, no worries. Simply remember this information for next time. Pregnancy nutrition still matters! Curious what the most important nutrients for fertility are? Look no further! Omega-3 fatty acids, especially fully-formed DHA and EPA, are anti-inflammatory to promote healthy ovarian function* and reduce risk of miscarriage, pre-eclampsia, group beta strep, and gestational diabetes‡. Traditional cultures reserved special foods for newlyweds. The Maasai tribe in Kenya even required their young men and women to wait until a few months into the growing season before they could get married! This illustrates the importance of the pre-conception period and its effect on pregnancy. 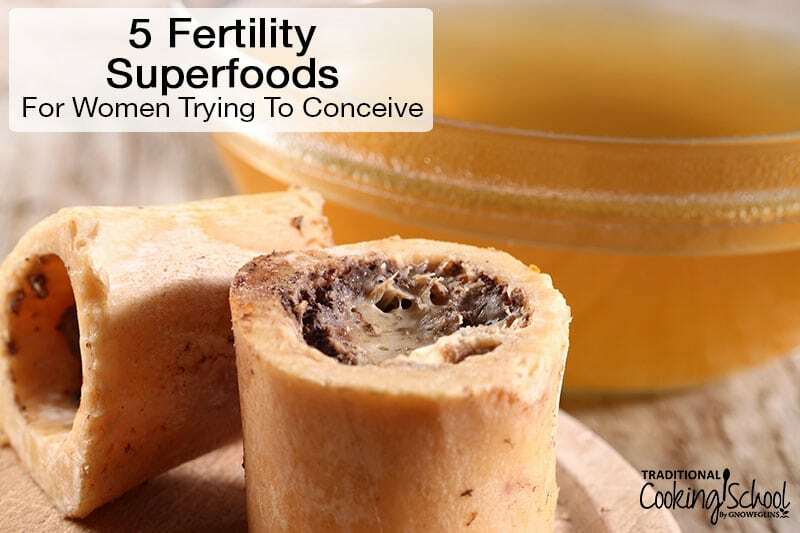 I know, this isn't the most appetizing of fertility superfoods, is it? Yet, it tops my list for a reason. Action step: Make chicken liver pâté. If you really can't stand the taste, hide liver in beef jerky, or dessicated liver capsules (buy or learn how to make your own in our Dehydrating eCourse!). Learn the 7 benefits of liver + how to eat it without gagging. By seafood, I mean low-mercury fish like salmon, anchovies, herring, sardines, and trout. Also shellfish such as oysters (the richest source of zinc!) and miscellaneous seafoods like fish roe and cod liver oil. All of these are fantastic sources of fat-soluble vitamins, omega-3 fatty acids, and trace minerals such as iodine and zinc. Cod liver oil specifically encourages blood flow to the uterus. It also reduces the amount of certain immune cells which could interfere with implantation of the fertilized egg. Peruvian tribes in the Andes traveled for hundreds of miles to obtain kelp and dried fish eggs from valley tribes. Even Eskimos ate dried fish eggs for fertility. You'd think they of all people would have had their fill of seafood! Action step: Take your teaspoon of cod liver oil every day. Enjoy seafood a couple times a week, and mix it up a little if you can! Maybe Instant Pot Salmon this week, oysters the next? Pastured dairy — as in the kind that comes from cows, goats, or sheep eating rapidly growing green grass all day long — is a powerhouse of Vitamins A, D3, and K2 as well as choline. Now, for fertility's sake, it's important to eat full-fat dairy products. Don't skimp on the fat! That's where the fat-soluble vitamins reside, and fat-soluble vitamins need fat to be absorbed by the body. It was traditionally understood in India that eating butter and ghee (clarified butter) resulted in easy childbirth. Villages in Switzerland also feature spring-grass butter as part of their fertility diet. Finally, if you're at all interested in trying your hand at cultured dairy, now's the time. Cultured dairy such as kefir and yogurt boast probiotics — beneficial bacteria that boost your gut health to promote balanced hormones, a healthy immune system, and more (source). Action step: Make your own butter, ghee (learn how in our Fundamentals II eCourse), kefir, or yogurt from grass-fed, pastured milk. You can also buy ghee made from spring or fall butter here. Enjoy your dairy in smoothies and ice cream, on porridge, pizza, and more! First off, egg yolks provide protein which is necessary for producing two key female cycle hormones: follicle-stimulating hormone and luteinizing hormone. Newly expectant mothers need lots of protein for building tissue (placenta, uterine tissue, baby's tissue, breast tissue, etc.). Egg yolks (along with liver) are also one of the best sources of choline. This choline works synergistically with the DHA also found in egg yolks, enhancing its absorption into cells. You'll find plenty of folate, B vitamins, antioxidants (see below for their importance), and iodine in egg yolks, too! Now, why pastured hens? Because hens raised in the sunshine on green grass and pecking at insects boast significantly higher amounts of all of these nutrients than commercially-raised hens. Action step: Source local eggs from pastured hens. Enjoy them in quiche, eggnog, omelets, and more! Our bodies always require protection from free radicals. Free radicals are created in many different ways, like when fats go rancid, or even due to the simple act of eating. Whichever is the case, these inflammatory little guys must be kept in check by antioxidants. Antioxidants, such as Vitamin E, protect our cells, tissues, and organs from damage. 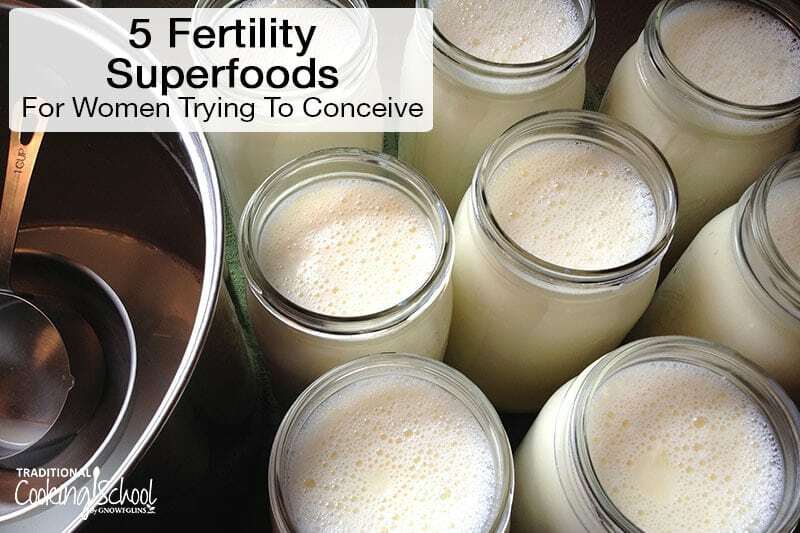 Now imagine how important this is for fertility — very! Sperm especially are susceptible to free radical damage. Vitamin E can be found in olive oil, avocados, and leafy greens (also a rich source of folate and other antioxidants — including 45 different flavonoids!). Beta-carotene can be found in orange veggies such as carrots, sweet potato, winter squash, and pumpkin. You can find Vitamin C, another potent antioxidant, in citrus fruits, tomatoes, red and green peppers, kiwi, strawberries, and cantaloupe. Keep in mind that it's okay to include both raw and cooked veggies in your fertility diet. There are advantages to both! Beta-carotene is actually enhanced by cooking, while Vitamin C is best consumed raw. Action step: Treat yourself to a great big salad at least once a day, drizzled with extra virgin olive oil, coconut oil, or ghee for better vitamin absorption and sprinkled with mineral-rich sea salt for iodine and more. For dessert, how about juicy strawberries topped with homemade whipped cream from pastured cows? With protein, minerals, and healthy fats, bone broth is rich in the building blocks you'll need for pregnancy. Its unique profile of amino acids — namely, glycine — are incredibly important during this time. Glycine, found in the gelatin and collagen present in bone broth and used by the body to make more collagen, is “conditionally indispensable” during pregnancy. This means that in normal circumstances, our bodies can make glycine from other amino acids. Pregnancy, however, is anything but normal. By the third trimester, the mother's and baby's bodies are growing so rapidly that extra glycine must be obtained from the maternal diet. The uterus has 800 times more collagen at the end of pregnancy compared to pre-pregnancy, so there's an immense need for glycine! While no guarantee, consuming glycine in sufficient amounts before and during pregnancy may help with stretch marks, too. Finally, glycine guards against the oxidative stress associated with pre-eclampsia, and promotes healthy detoxification of the toxins encountered during pregnancy. Sources of glycine include bone broth (glycine accounts for a third of broth's collagen, by weight), skin-on and bone-in poultry, and slow-cooked tough cuts of meat. Action step: Buy skin-on, bone-in poultry. 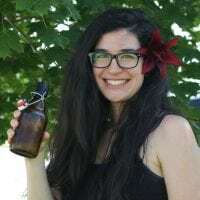 Eat the skin and save the bones to learn how to make your own bone broth! If you use your Instant Pot as demonstrated in the Pressure Cooking I eCourse, it takes only an hour. Also consider supplementing with collagen or gelatin — add collagen to smoothies and gelatin to warm drinks. You can even add gelatin to yogurt. 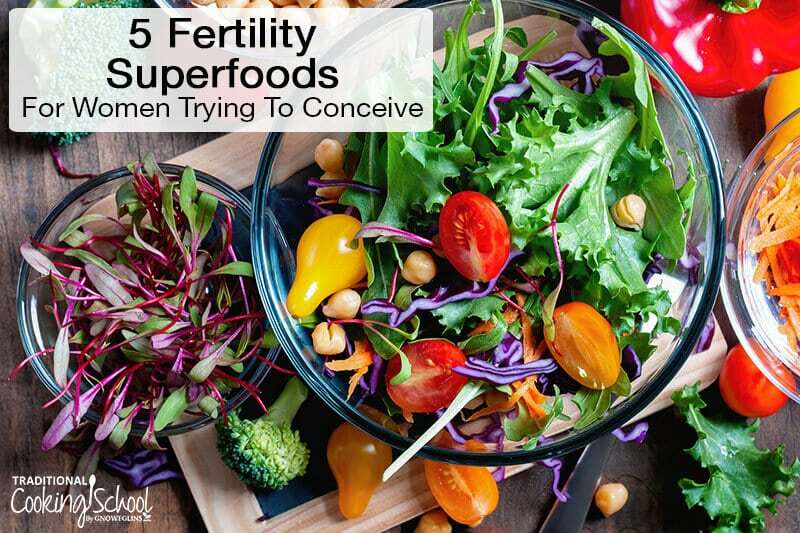 What fertility superfoods would you add to this list? How did you nourish yourself before getting pregnant?